Continuing from last week’s republication of a chapter on diet from the forthcoming women’s book, I want to take a general look at the issues of dietary restraint, disinhibition and rigid versus flexible dieting attitudes. When I talked about stress, I mentioned the concepts of restraint and disinhibition and want to briefly address them again here. Dietary restraint generally describes a concern with overall food intake and may also include deliberately restricting food intake to either generate fat loss or avoid fat gain or regain after a diet. A fairly large body of research has identified potential negatives of having high dietary restraint and I mentioned many of those in Chapter 12. At the same time, in the modern environment, the a majority of people have to exert at least some degree of restraint over their food intake to avoid gaining weight. To lose weight and fat will always require some degree of dietary restraint. This is a problem as restraint is often coupled with disinhibition, the loss of control over food intake in response to various types of stress. This can often set up a cycle alternating between high degrees of restriction/restraint and disinhibition that causes weight gain or diet failure. This isn’t universal and there is a subgroup who are able to exhibit dietary restraint without disinhibition and who show both better short-term and long-term success. This occurs due to the fact that there are two different types of restraint which are called rigid and flexible restraint (1). While researchers refer to rigid/flexible dieting, I will use the more general rigid/flexible eating. The distinction between the two is critical as rigid restraint (or rigid approaches to dieting) represent one of the single most damaging approaches to fat loss that can occur. I’ll examine specific strategies later in the book and now just want to look at the concepts in general. Rigid eating attitudes are characterized by an all or nothing approach to eating where individuals are either on their diet or paying little to no attention to their food intake. It tends to involve severe restriction of calorie intake but, more generally, is associated with a very black and white, good and bad, almost moral approach to eating. There is no middle ground and the diet is seen as either perfect or broken. If broken, the diet is a failure and the diet should be abandoned. This could be acutely for the day or completely. For women, far moreso than men, dieting often becomes part of their identity and, combined with rigid dieting attitudes, this can lead to a linkage between the diet and their own sense of self-worth (2). Dieters with rigid dieting will project a dietary failure as a personal failure and when this combines with other frequently seen psychological factors such as perfectionism, can cause significant problems. Individuals with rigid dietary eating attitudes tend to be tend to be heavier, exhibit more mental stress about their diets and are more prone to food binges (3). They also show a near constant focus on their food intake which is part of the mental stress that is present (4). At the extremes, rigid dieting practices are associated with the development of overt eating disorders (EDs) even in lean women (5). Not only are EDs already seen at a higher frequency in women than men, recall that athletes in certain sports that focus on thinness or appearance (including the physique sports) are that much more likely to have problems in this regard. This is where the psychogenically stressed dieter is so often seen in the first place and recall that high dietary restraint (and specifically rigid restraint) is associated with higher cortisol levels to begin with. This group tends to be drawn to the extremes of training and diet to begin with and rigid eating attitudes are part of that. And this may lead to the development of an ED in the long-run. Due to their all or nothing approach, rigid eating attitudes are often associated with disinhibition and the rigid eater can flip from complete control to a complete lack of control under a variety of conditions. This is especially true if one of the specific dietary rules or goals that they have established is broken in any form or fashion. At the simplest level this may mean exceeding some predetermined daily calorie goal. If the day’s goal is 1600 calories and the rigid eating exceeds that, the day is deemed a complete failure. In others diets are set up around very specific rules about what foods are or aren’t allowed to be eaten. Perhaps one of the most common, especially in the athletic population is the concept of clean eating. Harkening back to the early 20th century concept of dietary hygiene (where foods were seen as either improving or harming the body’s inherent cleanliness) clean eating fairly arbitrarily defines foods into clean and unclean. Related to this is even a relatively “new” eating disorder which has been called orthorexia nervosa. This essentially refers to an overwhelming obsession with the relatively healthiness/cleanliness of eating and it makes eating an almost moral issue. Interestingly, this obsession often leads eaters to eat in a less healthy fashion, consider my comment about female athletes often eliminating red meat, dairy and other important foods from their diet out of a belief in their unhealthiness. Many dietary, revolving around the complete elimination of certain foods (i.e. sugar, fat, non-Paleo or ‘unclean’ foods) are rigid to begin with and those dieters see any deviation as a failure. In both cases, what ultimately represents a fairly irrelevant deviation from the day’s diet may rapidly become an enormous problem. The person who overate by even 200 calories above their goal or consumed disallowed food, even withing their calorie goals, may go on to consume hundreds or thousands of calories. Stories of multiple-thousand calorie binges are not uncommon among Category 1 dieters attempting to “eat clean” who consume even the smallest amount of unclean foods. This is clearly a pathological approach to eating especially as it tends to cause the person to become even more rigid and restrained which maintains or even propagates the cycle. Contrasting the above are flexible eating attitudes which represent a more graduated approach to eating and this represents several different factors. One is that foods are not seen in a good or bad in an absolute sense but existing on a continuum in terms of their effects on health or calorie intake. They may be deliberately included in the diet in controlled amounts (recall the inclusion of dark chocolate during the luteal phase in the Menstralean study I discussed in Chapter 16) and, even if they are not, their consumption is simply compensated for at a later point or ignored completely. This goes hand in hand with the realization that small deviations in calorie intake from the goal can be adjusted for. If too much is eaten on one day, that can be compensated for slightly on the next day later in the week. Slightly is a key word here and trying to burn off a few hundred calories from one day with three extra hours of aerobic work the next day is just as damaging. Practically it can be useful in some situations to set a weekly calorie goal rather than a specific daily goal (note that this isn’t always possible in certain fat loss situations). Calories can be saved during the week for a special event on the weekend when the person knows that they are likely to eat more or adjusted on a day by day basis to meet those goals. In the same way that rigid dieting is associated with higher body weights, more mental stress and binge eating episodes, flexible dieting is associated with lower body weight, less mental stress and less binge episodes. That successful subgroup of dieters don’t show disinhibition in research studies and this is clearly related to having overall flexible eating attitudes. Once the realization has been made that diet and food choices are not a black and white either/or situation, the stress of slight deviations disappears. Individuals with higher degrees of flexible restraint show less frequent and severe binge eating, a lower calorie intake and a greater chance of weight loss than those with rigid restraint (6). The adoption of flexible dieting attitudes is also one of the major predictors of long-term fat loss success (7). Why Is a Flexible Approach to Eating Superior? While there is still some criticism of flexible eating concepts (usually from those subgroups determined to defend their own often rigid dietary extremism), the research is extremely clear that, overall it is a superior approach to the typical rigid approaches that are so often used or advocated and I think it’s useful to look at some of the reasons why this is the case. Perhaps the biggest benefit to adopting or at least understanding flexible eating is that it breaks people out of the mindset that there are foods that are good or bad in an absolute sense but rather fall on a continuum. This isn’t to say that all foods are equivalent by any means, certainly there is a continuum in terms of how filling, nutrient dense, etc. Rather it’s that the idea that any single food is so inherently bad that it represents a complete failure of the diet (or dieter) that the diet should be abandoned. Making proper food choices in the big picture is clearly better than not; it’s the extreme nature of rigid dieting/Orthorexia that is the problem. Even here, a so-called healthy food eaten in excess can be far more detrimental than a so-called unhealthy food eaten in controlled and moderated amounts. Once it’s realized that there are no magical diet foods (or foods that magically ruin a diet), much of the mental stress of dieting is removed (other strategies I will discuss help with this to an even greater degree). That same recognition also helps to eliminate the idea that eating the smallest amount of a specific forbidden or unclean food means that the day’s dietary intake should be abandoned completely. Clearly any diet aimed at fat loss or even long-term maintenance requires some degree of restriction. It’s only when the idea of restraint becomes too absolute and rigid that problems start. Along with that is the realization that small calorie deviations in either direction are meaningless in the short-term. Fat loss or even long-term maintenance is a long-term process and has to be seen as such. As I mentioned above, someone who has created a significant daily deficit who eats slightly more than their goal has made no significant impact on anything. The extra few hundred calories represents an insignificant amount of fat but if rigid attitudes cause that person to eat hundreds or thousands off more calories, it can become significant. At a more fundamental level the idea that any aspect of a person’s life or behavior choices is either 100% perfect or a failure is unrealistic. At best it can be followed for very short-term periods but invariably generates a tremendous amount of psychological stress. This is worsened if someone has a high tendency towards perfectionism which is common in the psychogenically stressed dieter (and seems to be endemic to the physique sports, if not in most athletes). The perfectionist is never happy with what they have achieved. If they achieve it, they decide that their goals were too low. If they fail to achieve it, they have to try that much harder. This leads into a vicious cycle which, at least in an eating context, adopting flexible eating attitudes may help to solve. Mind you, when perfectionism is present, the idea that someone can simply decide not to be a perfectionist is flawed which is why, in extreme cases, therapy is required. Perhaps one of the largest issues that tend to derail changes in eating habits are food cravings and this is true both when actively dieting or simply trying to maintain a current body weight or body fat percentage (8). Cravings occur for a variety of reasons including simply being exposed to tasty foods. Recall from Chapter 9 that fat loss and dieting increases a person’s attention to these kinds of foods in the first place. Women, especially those who are normally cycling, have the additional factor of their menstrual cycle and the changes that occur during the luteal (and especially the late luteal phase) to contend with. The simple act of having to restrict food intake can cause cravings and there is a tendency for whatever foods are off limits to be particularly craved (i.e. we want what we can’t have). Rigid dietary approaches or attitudes that make certain foods completely off limits make this worse as they make the off limit food that much more desirable. In contrast, the knowledge that that food can be included to one degree or another, albeit in generally limited quantities, can help to eliminate those cravings. Suddenly the idea of never being able to eat a given food again becomes having to wait no more than a few days or, at most, a week or two, before it can be included. Psychologically, the difference between never being able to eat a specific food and occasionally being able to eat it is absolutely enormous. And this brings up what I think is one of the most importance benefits of flexible dieting attitudes and especially the flexible eating strategies I will discuss in this chapter: control. In many if not most situations, deviations from a diet are due to a loss of control. The person is hungry and eats more than their daily goal or is tempted by a tasty food and eats it, breaking their own personal set of diet rules. This immediately causes the person to feel as if they have failed the diet (and as above, they are themselves a failure) which causes disinhibition and overeating. If this doesn’t lead to abandonment of the diet completely, it is invariably followed by even more extreme restriction as the cycle repeats. More to the point, deviations from the diet almost always occur in an unplanned fashion. It can happen for any number of reasons ranging from a lack of results, the effort becoming too difficult, life getting in the way, and others. Effectively, the dieter just gives up, typically returning to their previous eating habits and regaining all the weight and sometimes more. This often causes the person to jump back into another (or more restrictive) diet attempt which then fails and sets up a longer term version of the restraint/disinhibition I described above. I should mention that the same can occur with exercise programs where people who have been regularly exercising end up missing several workouts and, having decided that everything has been lost, abandon their program completely. But this doesn’t have to be the case. In the most general sense, flexible eating attitudes get around the problem with the recognition that small deviations aren’t that important or can be compensated for. This can actually be taken a step further by not only accepting and working with unplanned deviations from the diet but actually planning them and making them an explicit part of the dietary changes ahead of time. As I stated above, this changes the psychology of changing eating habits completely. Now, rather than a food being off limits but acceptable, it is actually included explicitly within the overall plan. This concept is actually demonstrated by a study done years ago where the researchers completely failed to achieve their goal but ended up making a brilliant observation (9). The researchers wanted to study what happens when people come off of their diets (and note that most fail to resume them). To study this, dieters (mostly women) were either placed on a diet for 14 straight weeks or instructed to take 2 week breaks every 3 weeks or one 6 week break after week 7. That is they were specifically instructed to go off of their diet. The researchers wanted to see how much weight was regained, why and how it was regained and why the subjects did or did not resume the diet. And this is where the study failed spectacularly. Because none of those things happened. The subjects experienced no major weight regain during the break, were able to return to dieting without difficulty and all three groups lost roughly the same total amount of weight (just over 15 pounds). But in this study, this wasn’t the case. The dieters clearly saw the break, which recall was prescribed by the researchers, as being part of the plan. This changes the psychological impact of the diet break completely. It’s no different than planning to raise calories to maintenance to stave off metabolic and menstrual cycle problems as part of a properly set up diet rather than having calories go up due to some sort of binge eating episode. Put more simply, planned deviations from an eating plan allow the person to be in control of their diet rather than the diet being in control of them. And this concept of planned deviations truly goes against how most either conceptualize how dieting (or exercise or any number of behavior changes) should occur or how it is so often recommended. 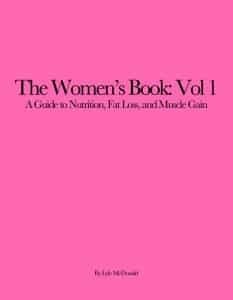 Diet books, trainers, otherwise well meaning sources frequently recommend that people attempting to lose fat or what have you adopt extreme, rigid, exclusionary approaches with no room for deviation. While this can work for some over at least a short time period it is often a worse approach overall. Paradoxically, deliberately breaking a plan occasionally is one of the best ways to adhere to that plan in the long term (10). There are a number of ways that deviations might occur or be allowed withing a flexible dieting approach. As I said above, many will simply brush off small deviations and/or compensate for them at a later time. Since many people are so resistant to the idea of flexible eating, I find that what I paradoxically call Structured Flexible Eating is often useful in the early stages to engender more flexible eating attitudes. There are four strategies I will describe later in the book and only want to describe them briefly here. If It Fits Your Macros (IIFYM) is an approach allowing “treat” foods to be eaten in extreme moderation so long as the day’s calorie intake is met. The Full Diet Break builds off of the prescribed diet break study I discussed above and represents a 1-2 week time period of maintenance eating which breaks blocks of dieting into discrete time periods rather than making the diet one extended period of deprivation. Refeeds/moving to maintenance (discussed in Chapter 13 in terms of helping to prevent menstrual cycle dysfunction) refers to a 1-2 day period where calories are raised to maintenance or occasionally higher. Finally, the Free Meal (often inappropriately called a cheat meal) is a single meal that deviates from the normal diet. Each approach has specific benefits, both psychological and physiological and is relatively more or less appropriate for certain situations. I will discuss each in detail in terms of what it is used for, how it should be set up along with when it should (or shouldn’t be used).